1.Coming from South – Take 270 North and exit 13B, Middlebrook Rd. Go exactly 1.2 mile and when you see a sign, “Precision Auto”, turn right into the parking lot. 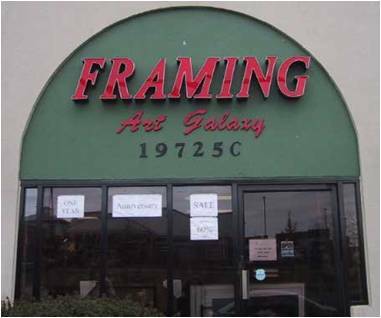 You will see a Framing sign at the farther end of the parking lot. 2.Coming from North – Take 270 South, and exit 15B, Germantown Road (Rt 118). Go south as you come off the ramp. Go ¼ mile and make a left at the Middlebrook Rd. intersection. Make an immediate left into the parking, as if you are going into Bank of America. 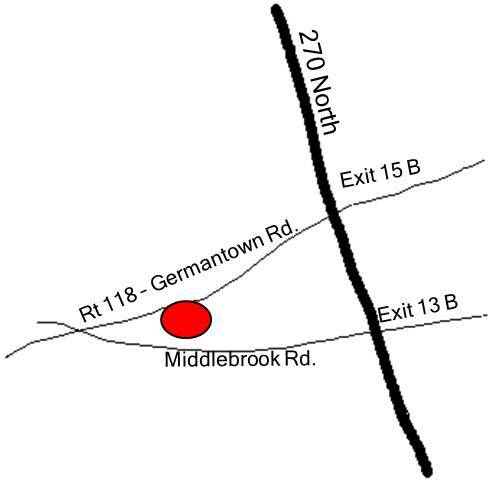 We are located across the Rt.118 from Germantown Safeway. 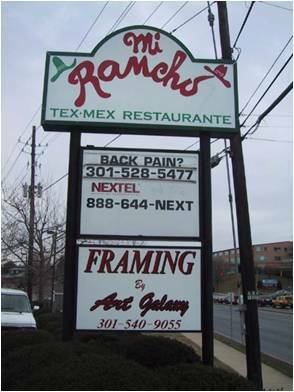 We share the same building with Mi-Rancho Mexican Restaurant, Royal Bagel Bakery, and Nextel Phone Retailer. Note: Entrance is from Middlebrook Rd. side. We offer after-hour appointments. If your work schedule conflict with our store hours, we will be happy to setup after-hour appointment to accommodate your schedule.